Anyone under the age of 18 who is married or contemplating marriage – provided they have testamentary capacity. Individuals under the age of 18 who are unmarried can make a will with the approval of the Court – this is advisable for young people who are earning large sums of money in modelling, show business, sporting activities etc. The court can also authorise a will to be made for a person lacking testamentary capacity (lacking the legal and mental ability to make amendments to a will) under Part 2.2 of the Succession Act. 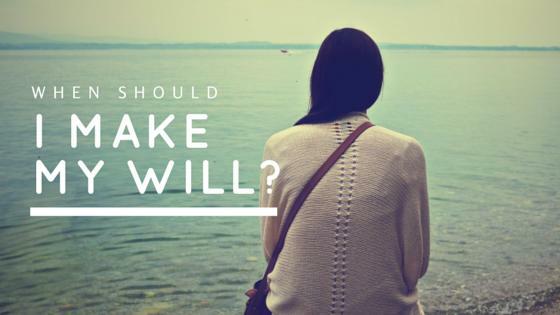 How can I ensure my will is valid? In order for a will to be valid it must comply with the legal requirements stipulated in section 6 of the Succession Act 2006. Unless each and every one of the requirements below is met when making a will, the court may not consider the will to be valid and the estate will be dealt with as if there were no will — this is known as an intestate estate, which involves the distribution of inheritance according to the laws of Descent and Distribution applied when a deceased person has not properly executed a valid will. It must be in writing — this can be typed or handwritten. It must be signed by the will-maker or by another person who has been appointed by the will-maker to sign on their behalf whilst in their presence. This signature must be made or acknowledged in the presence of two or more witnesses. And at least two of those witnesses attest and sign the will in the presence of the will maker. The signature of the will-maker, or the person appointed by the will- maker whilst in the presence of the will-maker, must be made while holding the intention of executing a valid will. Although it is not necessary for the will-maker to sign the will at the bottom of each page, it’s still advisable to do so – it’s also recommended you place your initial alongside any alterations. It’s also advised that the will-maker and witnesses sign the will at the same time while using the same pen – this makes proving the validity of the will much simpler. Where there are at least two other witnesses who are not beneficiaries. If the court is content the will-maker knew and approved of the bequest and made it freely and voluntarily. In order for your will to be valid all witnesses must be able to physically see that the will-maker, or their appointed person in their presence, has in fact signed the will. This therefore excludes people who are legally blind or temporarily unable to see (section 9). Wills & Estates in Sydney: Just the Facts Part 1 is just one slice of our ongoing series on wills and estates. Designed to bring you the facts as clearly and concisely as possible, we hope you’ll be able to find everything you need in one handy place. If you need more information you can simply contact us by filling out a form on the right.